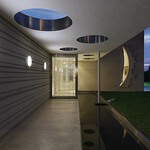 Outdoor / Indoor round luminaire for installation on ceiling or wall surface-mounted. Configuration: opal plastic diffuser with satin finish for a high light emission uniformity ratio. Die-cast aluminium fixing back-plate and turned aluminium structure and heat sink. Magnetic finish frame to hide the fixing screws. 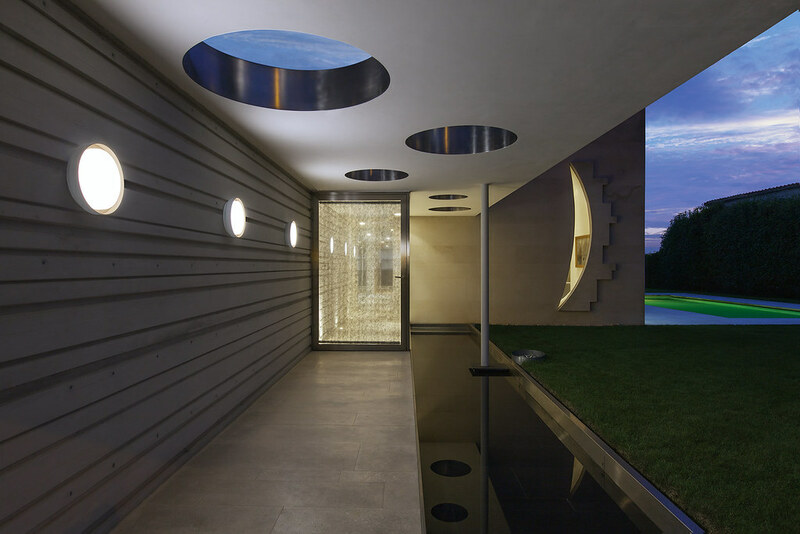 The luminaire is coated with polyester powders in single or double colour. Installation: the luminaire is equipped with two cable holders for rubber cables 5<Ø<10mm (Anna Ø210 and Ø310) or cables 6<Ø<13mm (Anna Ø410) and a quick-connect 2-pole terminal block. Outdoor installation requires suitable flexible cables assuring the watertightness of the cable holder.